Italians know their wine. But there are so many varietals from its sunny, breezy climes that sometimes the rest of us forget the difference between a Barbera and a Barbaresco. No fear: this handy guide will keep you straight. Amarone: From the Veneto region come Corvina grapes, which are partially dried to make this big, full-bodied wine that has a surprising undertone of sweetness. Barbaresco: Like Barolo? Try this lighter, more easy-drinking alternative. Barbera: Mainly from the Piedmont region, this medium-bodied, very fruity wine is a crowd-pleaser and a great choice at a restaurant. Barolo: This dry, full-bodied wine is complex, with berry flavors as well as earth, herbs and even tar. Delicious and often priced to match. Brunello di Montalcino: From grapes grown in the Montalcino zone of Tuscany, this wine is dry and tannic. Chianti: That perpetual favorite of homey Italian restaurants, Chianti is dry, moderately tannic, and usually flavored of tart cherries. Lambrusco: A sparkling red wine that is often sweet. Montepulciano d’Abruzzo: Smooth, flavorful, and great with food. Salice Salentino: Dry wine from the Puglia region. Often has aromas of ripe fruit with a rich, chewy texture. Valpolicella: Dry and moderately tannic with intense cherry flavors. Vino Nobile di Montepulciano: Like Chianti, but bigger. Asti: Sparkling wine made from Moscato grapes, this wine is sweet and fresh. Frascati: Mainly made of Trebbiano grapes, this wine is dry, light, and easy to drink. Gavi: A medium-bodied wine, typically dry with aromas of apples and minerals. Orvieto: A medium-bodied wine, often with flavors of pear and apple. Pinot Grigio: This popular wine is light, dry, and crisp with no oakiness. Soave: Generally dry, crisp, and medium-bodied. From the Soave zone in the Veneto region. Verdicchio: From the Marche region, Verdicchio grapes make this wine dry, crisp, and pleasantly mineral. 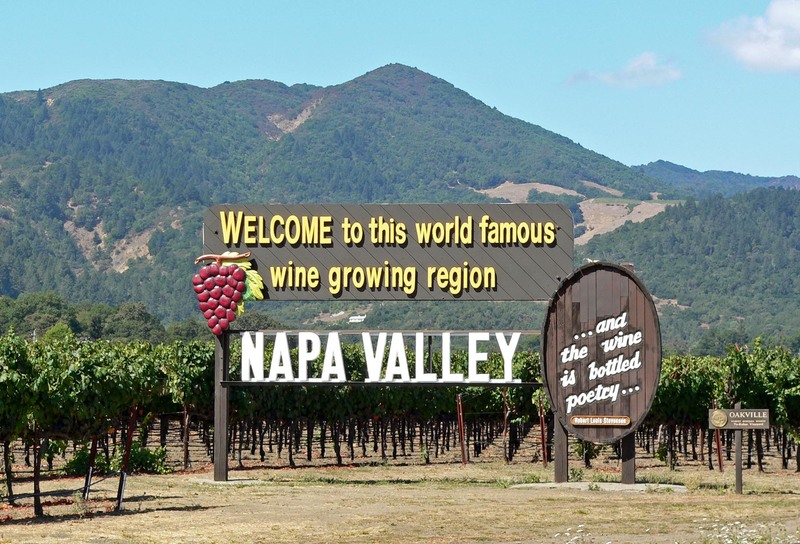 What makes Napa Valley such a renowned area for growing wine grapes? It all comes down to the dirt. There are more than 30 types of soil in Napa Valley. The chemistry of this soil is the most important factor of what the French call “terroir,” the distinctive tastes and aromas that an area’s specific conditions impart on the wine. St. Helena: St. Helena climate and soils are very different from those of the surrounding regions. While the western hills warm and protect the area, breezes from the Pacific do reach here earlier than they do other regions. Cabernets from this area are ripe, round and fruity, with a “chewy” feel on the palate. Rutherford: One of the least mountainous areas in the Napa Valley, Rutherford’s soils don’t drain as much as do the hillier vineyards, meaning that soil minerals remain in the area, and even grow more concentrated over time. The cabernet is earthy and high in tannins. Spring Mountain: An extreme area for wine-growing, with sparse soil that drains quickly and is blasted all day and all night with chilly temperatures. The cabernet from Spring Mountain is as extreme as its conditions, rich, powerful and concentrated. Yountville: The soil types here are varied, with a mix of sand, loam, silt, and others. The area is cooled by breezes from San Pablo Bay, not far away, meaning that the grapes can mature on the vine for a bit longer. The resulting cabs from this area will be smooth and boldly fruity, with dark berry aromas. Mount Veeder: This mountainous area is above 2,400 feet above sea level, very high for vineyards. The steep slopes mean that soils are thin and vines are stressed for nutrients. That results in smaller crops from this area, but the grapes that make is are intensely colored and powerfully flavored, with great complexity. Wines from this area are great candidates for the cellar. Howell Mountain: This region is similar to Mount Veeder, but since its temperatures run a little warmer, its cabernet is even more bold and concentrated. Stags Leap area: The vineyards here are located in hills that cool off every afternoon. This, combined with its well-drained soil, gives the area’s cabernet highly perfumed, velvety wines big on flavor but soft on tannins. While the Viognier grape may be new to most wine drinkers, it’s been grown in France’s northern Rhône region for centuries. Because its acreage in France is relatively small, so is the French production of Viognier. Interestingly enough, decent Viognier vineyards have appeared in California since the late 1980s, and Australia is also producing the grape. It’s tough to grow Viognier, since the grapes are sensitive to variable climates. The vine often requires additional attention and massive pruning, plus it ripens at an odd time. Though Viognier wine has a high alcohol content (usually more than 14%), it contains luscious flavors of peach, apricot, honeysuckle, hints of vanilla, oak, honey, and additional citrus fruits. It pairs very nicely with sushi, salmon, shrimp and oysters, as well as duck, chicken, and pork. It makes a nice accompaniment to cornbread, too, and even butternut squash. Dishes that are lightly smoked, and recipes that include either apricots or peaches make great candidates for pairing. Though difficult to grow, rare, and often on the pricier side, it’s definitely worth giving a bottle of Viognier a try. Unlike tawny port, vintage port needs to be decanted when served. Bottles of vintage port contain a lot of sediment, and decanting helps to remove it. Consider using a sophisticated decanter like the Riedel Tyrol wine decanter to effectively aerate and remove the sediment from your bottle of vintage port. If storing a vintage port in your wine cellar, make sure you store the bottle on its side (as you would any other wine), and keep it in a room with a maintained temperature. Ideally, a steady temperature between 55 and 60 degrees is fantastic for port. Cheers! What Is Aged Tawny Port? Like its younger cousin, tawny port, aged tawny port is one of the two most-popular wines aged in Portugal. Both tawny and aged tawny port begin as ruby port, but instead of aging the wine between two to seven years to create tawny port, aged tawny port is kept at least ten years in wood. Oftentimes, aged tawny port is held even longer. The longer aged tawny port is allowed to age, the greater its complexity becomes. It also tastes more smooth and mellow. The older the aged tawny port, the richer, softer, and smoother it tastes. In addition to being a joy on the tongue, its level of complexity increases substantially with age. Though many people try less-expensive tawny ports aged for ten years, first, I’d recommend having a twenty-year old bottle for your first taste of aged tawny port. Why? There will be a much more noticeable difference between your aged twenty-year bottle and a glass of regular, seven-year tawny. Curious? Have a glass, and see what you think! Unlike its ruby cousin, tawny port’s signature color is a bit lighter, as is its body. Simply put, it’s a more delicate wine that exhibits some of the softer traits of vintage port. Unlike expensive vintage port, however, tawny port is available at a fraction of the cost. Tawny port is produced by blending older port wines. Similar to ruby port, tawny port is also aged before bottling. The time spent aging is usually between two and seven years. Unlike sweeter rubies, tawny port features flavors of darker fruits and berries, as well as ripe plums. Comparatively, a glass of tawny is richer with tannins. And compared to their older, vintage cousins, non-vintage tawny ports are less dry and their tannins, while robust, are more mellifluous. If tawny port’s tannins are a bit much for you, it’s okay to let a bottle of tawny sit for a bit; its tannins soften substantially as it ages. Because it’s not as “forward” as ruby port, be sure to serve tawny port in proper port glasses. Riedel Sommeliers Vintage Port Glasses are ideal because they are designed to reveal port’s pleasant, subtle aromas that are often masked by the smell of alcohol when served in larger glasses. If you’ve enjoyed ruby port, perhaps it’s time to give tawny a try? Cheers! Did you catch our post last week on ruby port? Prosecco is an Italian sparkling wine that is often made Dry or Extra Dry. Unlike sweeter sparkling wines, today’s Prosecco is intended to be on the drier side. Though Prosecco is often used as a Champagne (or other sparkling wine) substitute, it has its own distinctive taste. While Champagne and other sparklers are sought after for their complexity, Prosecco is manufactured to be lighter, fresher, and much more on the plain side; it works very well as a pleasant palate-cleanser between courses, and even between wines during select wine tastings. Enjoyed chilled, like Champagne, Prosecco works as an aperitif on its own; however, it is frequently paired with hors d’oeuvres like bruschetta, canape, crostini, soft cheeses, stuffed mushrooms or shrimp, and even olives. 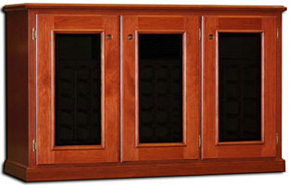 To keep your Prosecco at the proper serving temperature, consider using a stylish wine cabinet like the Vintage Series Legacy Wine Credenza, or the Le Cache Wine Vault 3100. Always remember to drink your Prosecco while it’s still young! Happy February, wine lovers! Stay tuned for some fun, yummy Valentine’s day content coming up soon! Children are often amused to learn that, years before Kraft Foods, Ludwig van Beethoven’s favorite dish was macaroni and cheese! For adults–even those of us who still enjoy mac and cheese–it may be more interesting to note that one of Beethoven’s favorite wines was a white dessert wine from Hungary’s Tokaj region. Situated northeast of Budapest, the Tokaj region is nestled in the Zemplen Mountains. The region’s soil consists mostly of clay, with an underlying volcanic layer. Sun filled summers and dry autumns help to nurture the precious Aszú grapes used in this wine. (These grapes possess an unusually high concentration of sugar, and are picked and painstakingly sorted by hand at harvest time, which is rather late.) In fact, the Tokaj region was Europe’s first ever classified wine region. Today, some distilleries exist where select Single Malt Scotches are put into former Tokaji wine casks for a few years, imbuing the whisky with a hint of the delightful aromas (and a hint of the characteristic sweetness) of Tokaji wine, itself. Exploring the history of this much-loved wine outside the musical community, we learn that Louis XV of France once presented a glass of Tokaji as follows: Vinum Regum, Rex Vinorum. (Wine of Kings, and King of Wines.) Louis XV’s father, Louis XIV, probably introduced Tokaji wine to his son after receiving several bottles as a gift from Francis Rákóczi II, Prince of Transylvania. Since then, this beverage became a staple in the Court of Versailles. American connoisseur Thomas Jefferson had several bottles imported for his presidential feasts in the early 1800’s, while yearly on her birthday, Queen Victoria received numerous bottles of this very wine from Austrian Emperor (and Apostolic King of Hungary) Franz Josef. Even Napoleon Bonaparte purchased barrels of Tokaji for his Court on a yearly basis, and King Gustav III of Sweden would not drink any other wine! Given its rich history, why is this wine so little-known, today? In short, several prominent Hungarian vineyards were ravished by phylloxera in the late 1800’s and did not recover quickly. Couple this with the onslaught of WWI, the deterioration of the Austro-Hungarian Empire, the advent of WWII, followed by the ascent of Communism, and you have a recipe for run-down vineyards! Only recently has the wine enjoyed by Beethoven, Goethe, Louis XV, and Thomas Jefferson been reproduced after a long period of hibernation. Will it regain its former glory and win over the artisans and world leaders of our day? Only time will tell. For more information about wine and history, check out Vintage Cellar’s Wine Storage Education Center r check out our “Wine History” category here on the blog. Cheers!